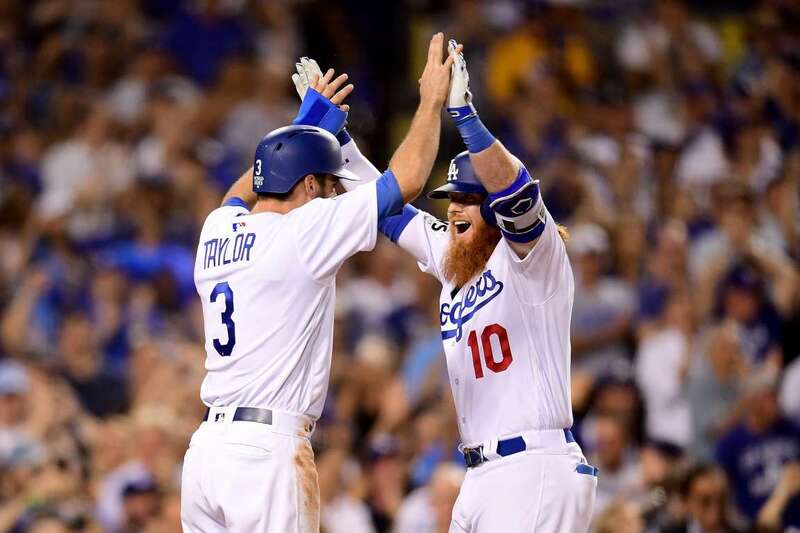 Justin Turner of the Dodgers celebrates with Chris Taylor (3) after hitting a two-run home run against the Astros in Game 1 of the World Series on Tuesday in Los Angeles. The Dodgers won 3-1. We did it! Justin Turner of the Dodgers celebrates with Chris Taylor (3) after hitting a two-run home run against the Astros in Game 1 of the World Series on Tuesday in Los Angeles. The Dodgers won 3-1. Photos - U.S. Daily News: We did it!